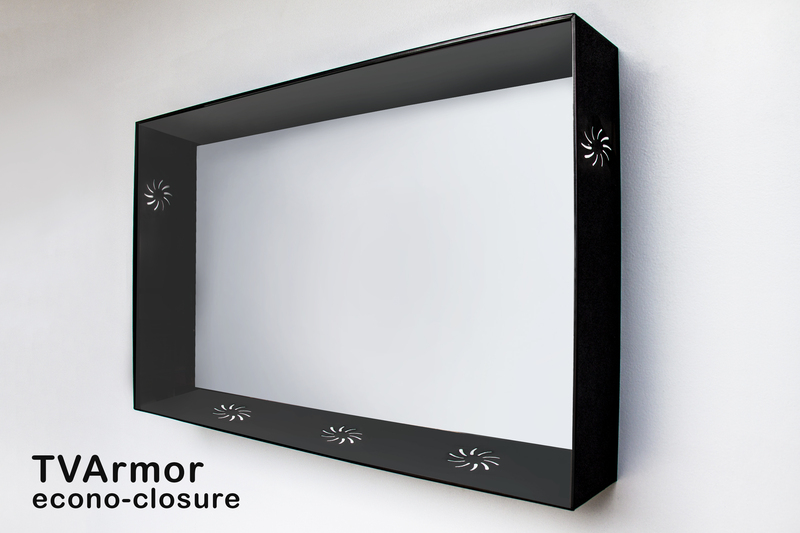 Our TV case is constructed of strong ABS plastic with an even stronger polycarbonate front panel. It is a simple slip-case design. The frame is attached to the wall around the TV and the front case is slid over the frame and secured with screws. The Econo-Closure does not have cooling fans. Ventilation is provided through openings in the side panels of the TV enclosures.